Wireless networking is useful visual tool for identification of all required equipment, and calculation the cost of creating or updating wireless computer networks. 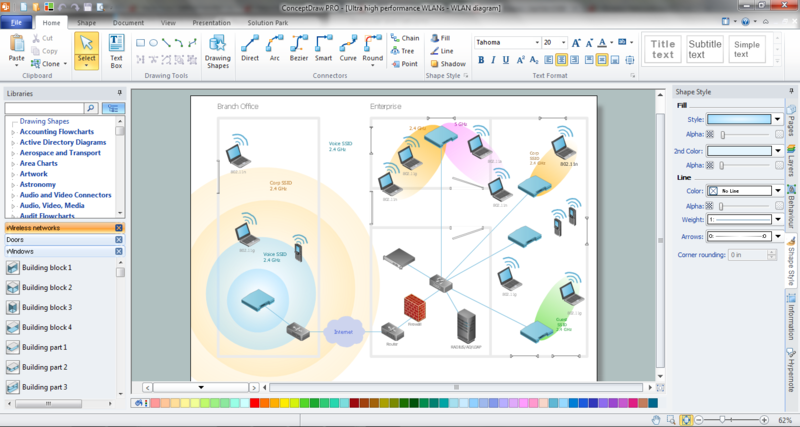 ConceptDraw DIAGRAM extended with Wireless Networks Solution from the Computer and Networks Area is the best wireless network diagramming software. 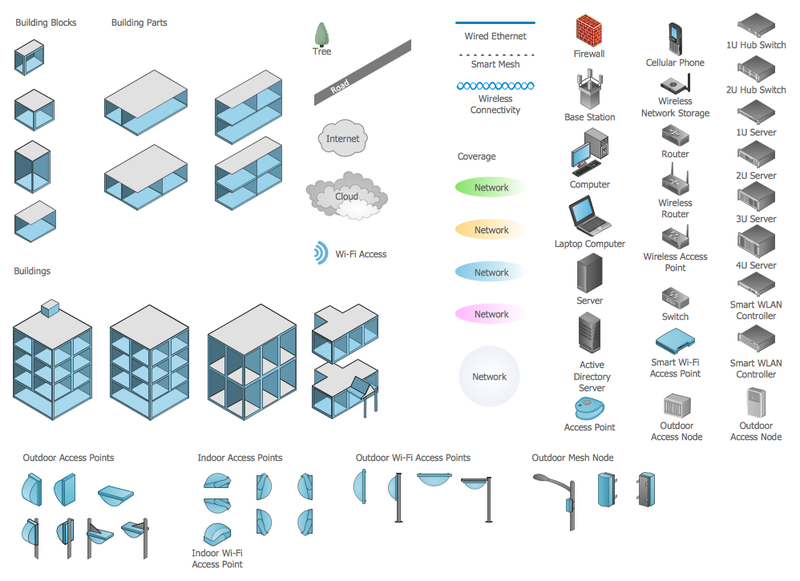 Wireless Networks Solution includes several wireless networking diagram examples and templates which can help you to visualize the wireless networking in minutes. Wireless Networks solution contains also about eighty vector stencils which are included in Wireless Networks library and help users to make their own diagrams simply and fast. This sample was created in ConceptDraw DIAGRAM using the tools of Wireless Networks Solution. It shows the relationships between computer devices on the detailed wireless networking diagram. An experienced user spent 20 minutes creating this sample. 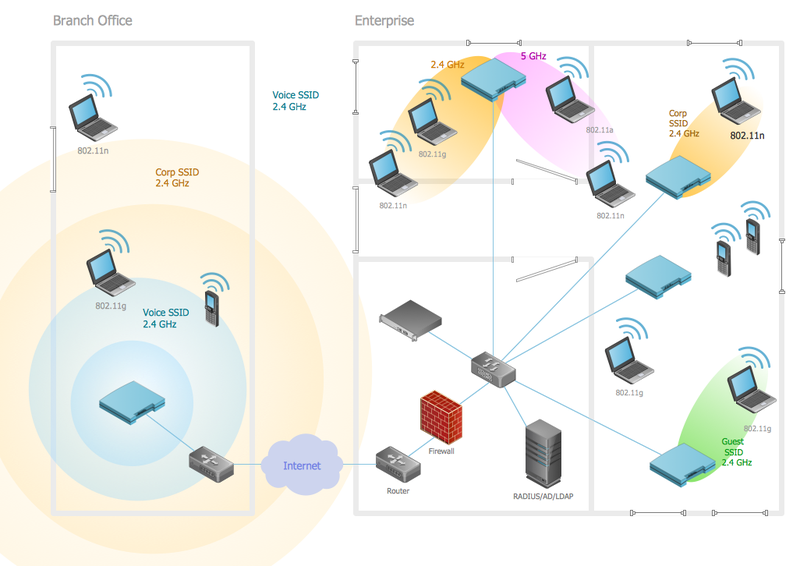 The wireless networking diagrams designed with ConceptDraw DIAGRAM are vector graphic documents and are available for reviewing, modifying, converting to a variety of formats (image, HTML, PDF file, MS PowerPoint Presentation, Adobe Flash or MS Visio), printing and send via e-mail in one moment.